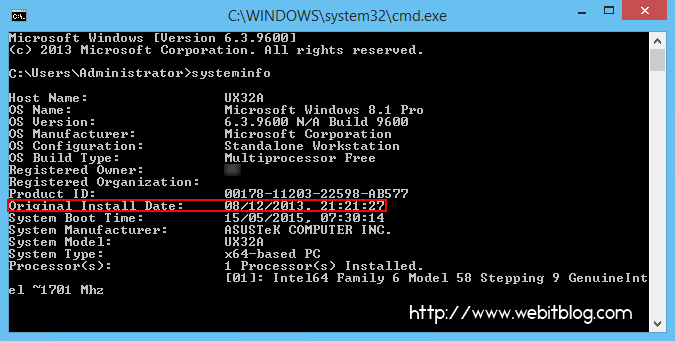 Ever wonders how can you find laptop/desktop original installation date and time using command prompt? Here is a quick command that you can use to find it. To find the original installation date and time, click the Start Menu, type “CMD” (without quotation marks) in the search bar and click cmd.exe under the program section. Next type in the following command and wait for the system to gather information. 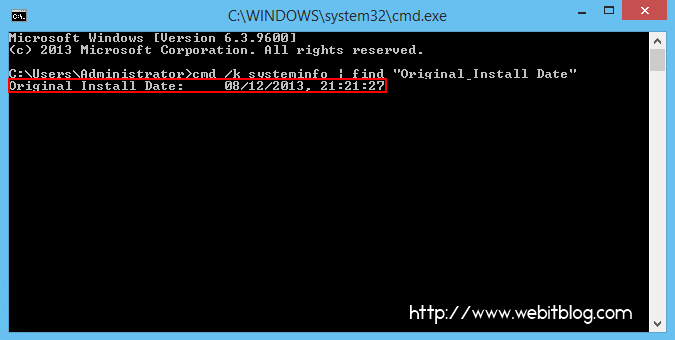 cmd /k systeminfo | find "Original Install Date"
Sometimes it takes a while to populate the result, but this will give you the exact date and time your operating system was installed. Google's original name was BackRub.